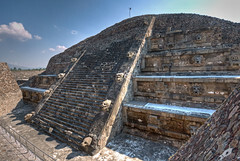 Mexico, inhabited by several advanced civilizations for nearly three millennia, is today a blend of Olmec, Mayan, Aztec, Spanish, French, Austrian, and more recently, German, Italian, and American cultures. Each have influenced much of modern Mexico's society, tradition, music and government. Mexico has a long tradition of classical music, as far back as the 16th century, when it was a Spanish colony. Music of " New Spain " , especially that of Juan Gutiérrez de Padilla and Hernando Franco, is increasingly recognized as a significant contribution to New World culture. 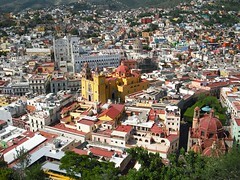 The city of Puebla, one of the oldest colonial cities in the continent, was a significant center of music composition. In the 17th century, the city had considerable wealth and for a time was presided over by Bishop Juan de Palafox y Mendoza, who was an enthusiastic patron of music. Composers during this period included Bernardo de Peralta Escudero and Juan Gutiérrez de Padilla, the most famous composer of the 17th century in Mexico. 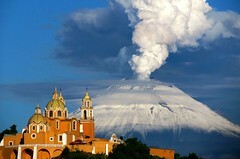 In the 18th century, Italian opera found its way to Mexico when Ignacio Jerusalem, an Italian-born composer, maestro di capilla at the cathedral in Mexico City from 1749 until his death in 1769. In the 19th century the waltzes of Juventino Rosas reached world recognition. In the 20th century, Carlos Chavez, is a composer of note who wrote symphonies, ballets, and more. Selected American groups are invited to share their talents with appreciative audiences in glorious venues and spectacular settings throughout Mexico. 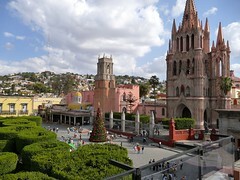 Venues in Mexico range from the great cathedrals to smaller parish churches, outdoor stages (in some of the major plazas in cities), ruins, amphitheaters, concert halls, conservatory auditoriums and cultural centers.